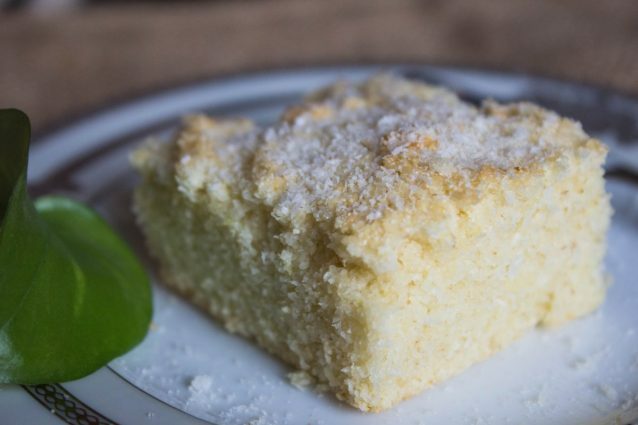 Goan coconut cake: this is a very comforting dessert with tropical flavors! 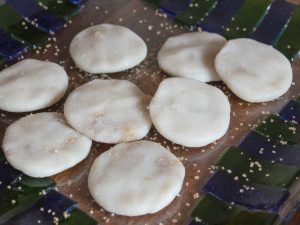 Bolo de Rulao is a traditional Goan cake made with coconut and semolina that has a Portuguese influence. It is quite an easy recipe yet you need to stick to the recipe to get that precision in what seems like an unexpected cake recipe. 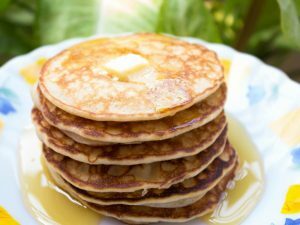 Except for the eggs and baking powder, this recipe has nothing in common with the traditional cakes that we are used to eating. 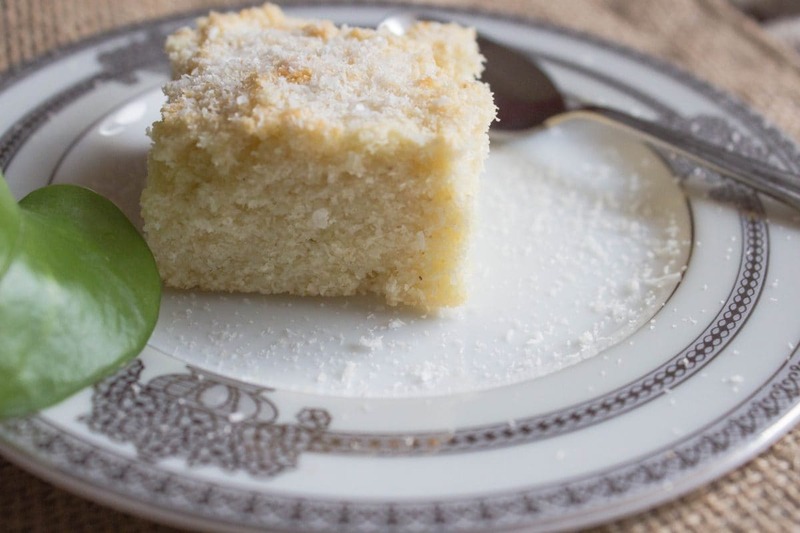 This recipe Goan coconut cake has a lovely essence of almond and is quite crusty on the top owing to the semolina grains. 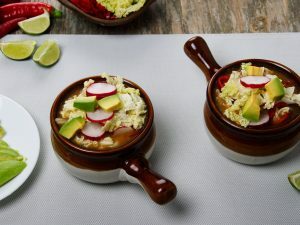 In a large bowl, add the coconut, semolina, baking powder, salt, and mix everything until well combined. 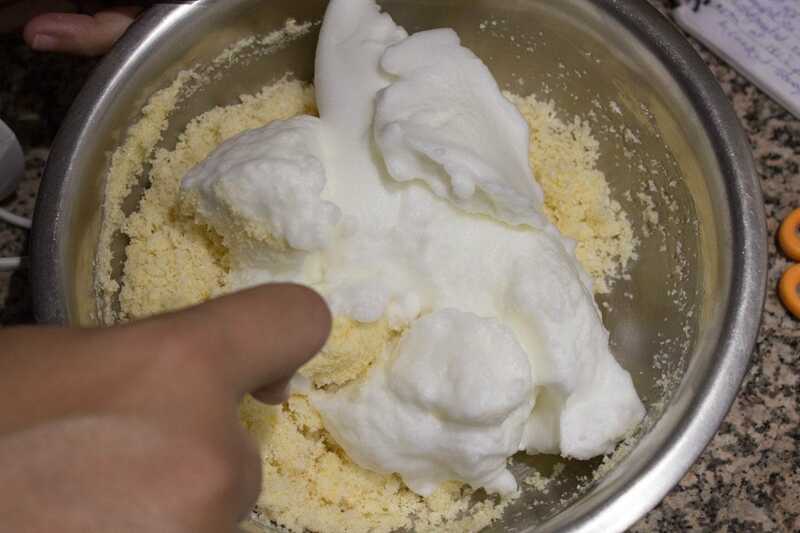 In another bowl beat the unsalted butter with powdered white sugar until the mixture is light and fluffy in texture. Add the separated egg yolks in to the butter and sugar mixture and beat it again for another minute. 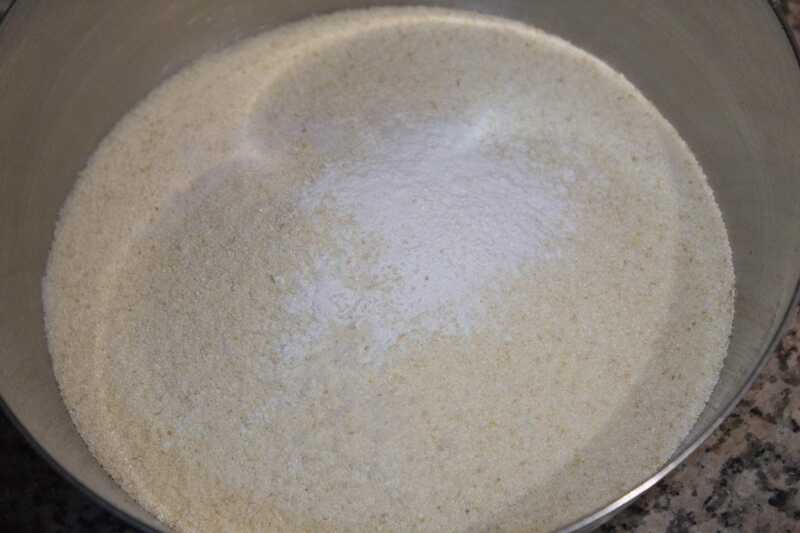 Fold the semolina mixture in to it and whisk well until a thick batter is achieved. Preheat the oven to 180 degrees C and evenly grease a baking dish. 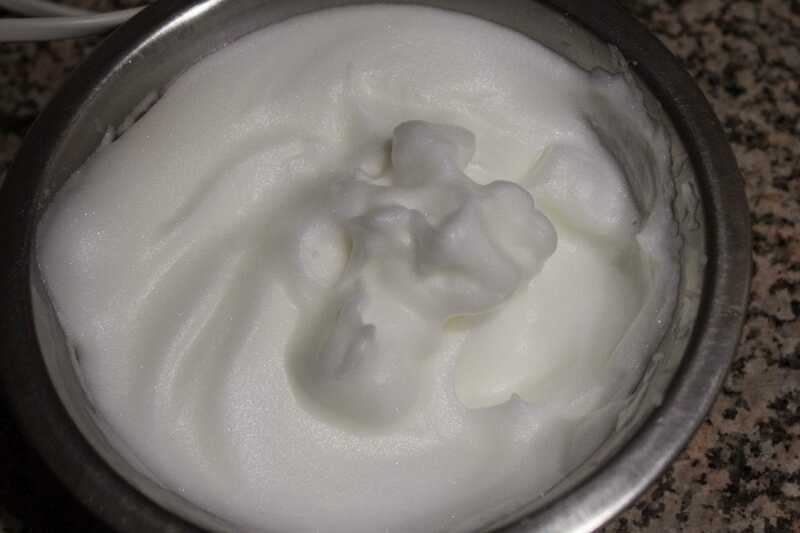 Keep it aside and beat the egg whites in a separate bowl until they are stiff. Add the almond essence to the semolina mixture and then fold the beaten egg whites to it. Transfer the mixture in to the prepared baking dish and bake the cake for about 30 minutes or until it turns light brown in color and cooks through. Slice, serve and enjoy! You may also refrigerate the cake batter overnight after transferring it in to the prepared baking tray. 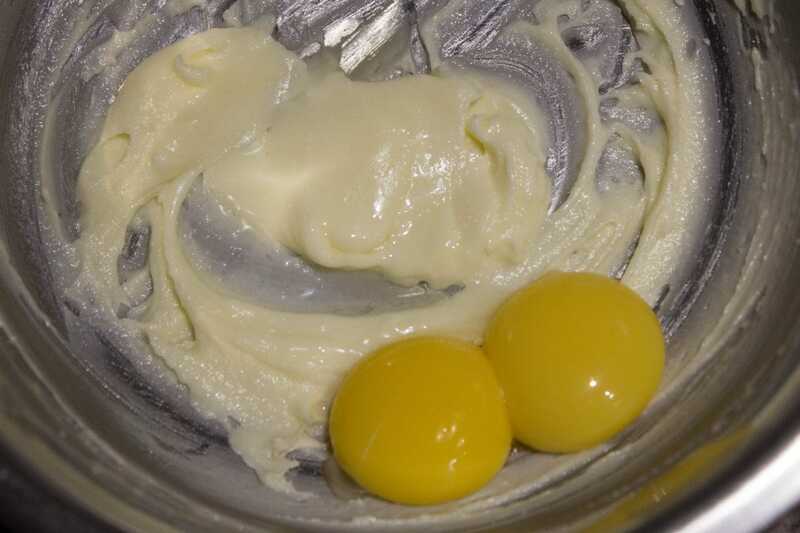 Carefully the separate the egg white and yolk so that the 2 do not mix and alter the consistency of the recipe. Make sure you move your hands in only one direction while you whisk or blend the ingredients. In case you use hand blender/whisk, again make sure that the gadget moves in one circular direction only. Maintain the baking temperature and you might need to keep a watch on the cake in the final minutes of baking. Do not over mix the batter.